Flip Turner, known as Tokunosuke Hyori (表裏(ひょうり) 徳之助(とくのすけ) Hyōri Tokunosuke) in the manga and known as Tokunosuke Omoteura (表裏(おもてうら) 徳之助(とくのすけ) Omoteura Tokunosuke) in the Japanese version of the anime, is one of the main supporting characters and is a friend of Yuma Tsukumo. Flip’s last name in the Japanese version is made up of the words “omote” and “ura,” which can respectively mean “outer” and “inner,” referencing his belief that there is a hidden or opposite side to everything. His English name is a reference to Flip Effect Monsters, which his Deck revolves around. Flip believes that there’s a “flip-side” to everything, and that things can be defined by their opposites. Something that seems harmless can actually be quite lethal. 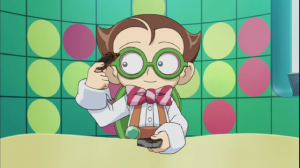 This philosophy is embodied by his fondness for Flip Effect Monsters, along with the physically weak “Baby Tiragon”. As a small child, he often received the same treatment from older children who took advantage of his ignorance towards Dueling to cheat him out of his cards through Ante Duels, saying they would accelerate his improvement when the stakes were higher. He eventually found out, running home in tears and vowing revenge. Since then, he had learned to trick people for his own gain, even defeating his former bullies who quickly became his lackeys. 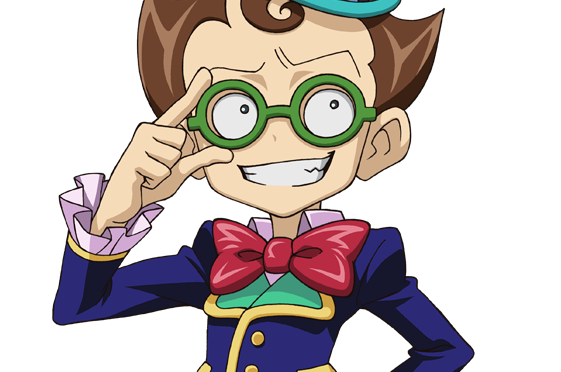 Flip is shown to be envious of Yuma and the gang owning “Number” cards so much, he was willing to foolishly take a “Barian Number” and as a result was absorbed into the Barian World. However, he committed this act because he wanted help Yuma. Flip Turner uses an Anti-Xyz Deck featuring Zombie-Type Flip Effect Monsters. He takes advantage of the opponent’s monsters by taking control of them, often handing out “Baby Tiragon” cards to opponents before Duels in order to aide in this.